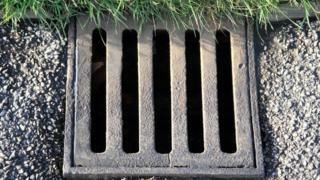 Public safety is at risk after 40 drain covers were stolen within two weeks, a council has said. The number of thefts in the Tilehurst and Soutcote areas of Reading has been mounting, the borough council said. It is believed the iron grills, which cost the council £500 each to replace, are being sold for scrap for about £2 a time. "One can only guess what level of moron is stealing these covers," said deputy council leader Tony Page. Worcestershire drain cover thefts "very worrying"